Join the community for the Tahoe City Farmers Market every Thursday from May 17, 2018 – October 11, 2018. That is 22 weeks of community fresh food and fun! 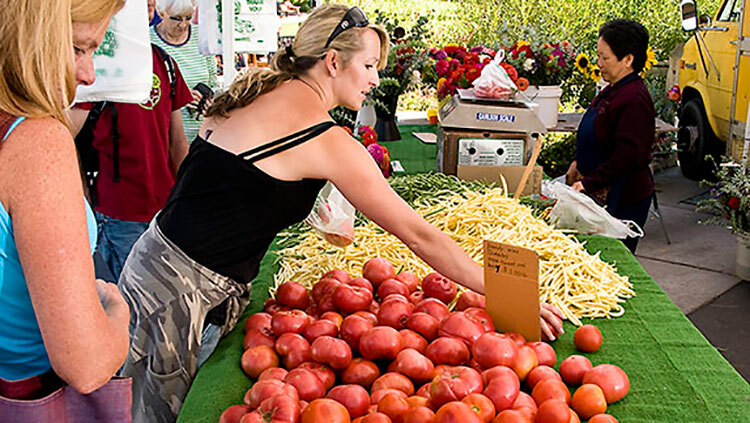 Enjoy fresh local produce, delicious food, live music, and our local Tahoe City community at the Thursday morning Farmers’ Market. The Farmers’ Market scene is just starting to heat up for the SUmmer season. Check back frequently for updates on opening dates around the Lake.